Tiffin Aviation Service provides 7am to 7pm (with after-hour on call) Avgas & Jet A services, hotel & car arrangements, and catering. Coffee, water, soft drinks, couches, table space, and rest rooms are available for your comfort. 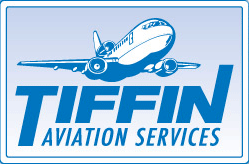 Tiffin Aviation Service's Maintenance department sells parts and supplies. While our mechanics offer a wide spectrum of expertise to meet your aircraft service needs. The Nogales Airport Café, offers great food and services daily from 7:30am to 2:00pm Local. The Café offers a wide selection of reasonably priced Breakfast and Lunch selections. If your arrival time is past our hours, call ahead for your dining needs.